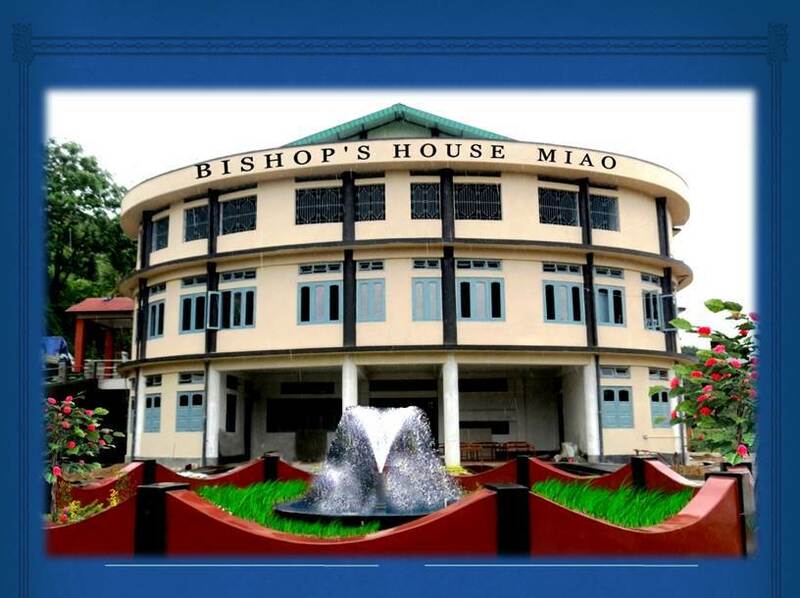 The humble old Bishop’s House in Miao Diocese, Arunachal Pradesh was replaced by a beautiful new house on May 24, 2014 by His Excellency Salvatore Pennacchio, the Apostolic Nuncio to India in the presence of His Grace John Moolachira, the Archbishop of Guwahati and several other Bishops from North East India and thousands of catholic faithful and dignitaries from in and around Miao. “I am so happy to be here with you today on this important event in the history of the Diocese of Miao”, said the Apostolic Nuncio, blessing and inaugurating the new Bishop’s House. “I am overwhelmed by the warm welcome and colourful reception I received from the time I reached at the airport till I reached this place. Thank you very much. Your presence in large number today is an example of the strong Church here this region. I would like to congratulate Bishop George for the hard works he does for the people in this region and wish that God’s blessing be upon him, in this new Bishop’s House and all the people in this region”, he added. The process of the cause of Canonization of Servants of Krick and Bourry, the first Martyrs of North East India, who were killed in Somme village of Arunachal Pradesh, on their way to Tibet was also formally inaugurated on this day. The joy of the event was further expanded with Diocesan Level Youth Convention in Miao and Catholic Women and Men Convention in Neotan held simultaneously from 22nd to 25th May 2014. “I am so happy to see our Nuncio, traveling so far to be with us to share in our joy of blessing our new Bishop’s House is indeed a blessing for me,” said Miss Sanlih Wangsu, a youth delegate from Tirap District. The presence of Bishop Lumen Monteira of Agartala, Bishop Joseph Aind of Dibrugarh and Bishop Paul Mattekatt of Diphu added to the joy of the event. “Though the new house looks huge in comparison to the old house, I would like to stress that the spirit of this new house will continue to be one of service and brotherhood”, said His Lordship George Pallipparambil, the Bishop of Miao Diocese.